My agent has really good taste in authors (if I may say so myself! ), and I’m so glad that I’ve had the chance to connect with so many of the people she represents. One lovely result is that once in a while I get the chance to read a book early, before it’s released. 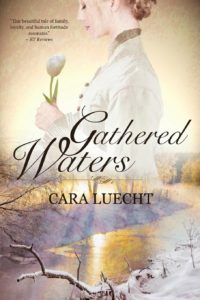 And since I adored the first book written by Cara Luecht, Soul Painter, I was thrilled when she offered me the chance to read this one, too. Gathered Waters is based on the true story of the author’s family’s journey from Sweden to America. I always enjoy good historical fiction—I love learning details of daily life in a time or place I’m not familiar with, and this book provided that. But it also tells the story of a spiritual awakening. Brianna and her husband take a stand and ostracize themselves from the Lutheran Church, and this chronicles the resulting events. On its own, the story is good. But what makes it great is that it really made me think. My faith is so important to me, and it hasn’t always come easy, but I’ve found my way. I wouldn’t change the roads I’ve traveled for anything because each one of them has revealed a new aspect of God to me, and I’m so grateful. This version of modern-day Christianity many of us practice, well, I think we take it for granted. We forget that not everyone has this freedom. Not everyone gets to witness a personal kind of faith to model their own faith after. And this book isn’t about persecution—well, not in the way I think of the word. Instead, it’s about that moment, that one shining moment when God reveals Himself and you can’t help but be changed. It’s about knowing, deep within your core, with a certainty no one else understands. Having that experience transforms you. You can’t go back. You can’t forget. Even when things fall apart—and from personal experience, I’ll say even when you find yourself desperate to hang on to the few flimsy shreds of faith you still have—even then, you can’t deny Him. You can’t let go. Because you know deep, deep down that God is real. And that you want more. I’ve had those moments, and I give much of the credit to my friends and to many of the women and men at my church, because they modeled this faith life for me. They let me see them worship and pray. They answered my questions. I didn’t have to rely on just their words because I witnessed how God’s presence sustained them. And I wanted that for myself. Oh, how I wanted it. But in Gathered Waters, when Brianna and Anders turn their back on the powerful, formal Church-with-a-capital-C, they hadn’t really seen this kind of spiritual relationship. They were stepping out in faith, feeling their way along, not sure where it would lead. And yet, what they experienced with God was too powerful to ignore. That’s what had me fascinated and made me think. Would I have found God in that way if I’d lived then and there? Would I have had the courage they did? Because it wasn’t easy. Then again, life rarely is, with or without God. The difference is, when we allow God to be beside us, it changes the way we experience it. For good. Check out Cara’s blog if you get a chance. 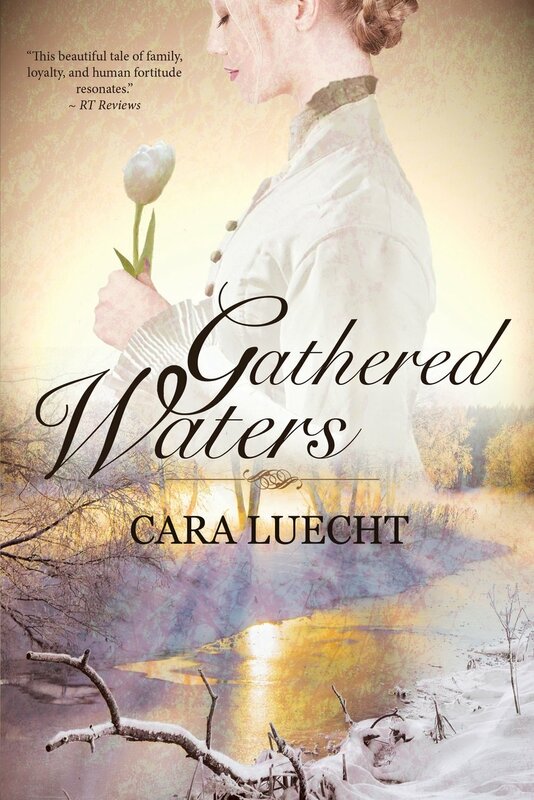 You can order Gathered Waters as a paperback or Kindle book on Amazon or at Barnes and Noble.